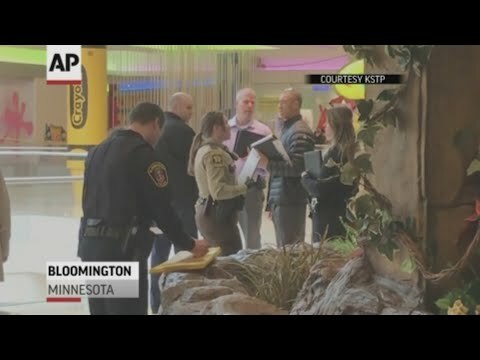 BLOOMINGTON, Minn. - A 5-year-old child suffered significant injuries Friday after witnesses say a man either threw or pushed the child from the third floor of the Mall of America in Bloomington, Minnesota, according to local police. Aranda was arrested following the 10 a.m. incident that left the victim with life-threatening injuries. The family is now with the child, police said. "The child has been transported to the hospital and has been receiving care". A woman who works at a nearby store and who did not want to be identified said she heard loud screams, went outside the store and saw the boy hit the ground. Potts said he didn't know whether the victim's family is from Minnesota or visiting from elsewhere. Potts said the suspect took off running right after the incident but was quickly found and arrested at the mall. "Oh my God, my baby, someone threw him over the edge, '" Brian Johnson said. Police don't think there is any relationship between the man and the child or the child's family. Investigators are working to determine what led to the child being thrown or pushed. Potts said police managed to apprehend the suspect inside the mall and they do not believe there is a threat to the public. He said a thorough investigation will be conducted to find out the motive for the incident. Following that incident, he was convicted of obstructing a legal process by interfering with a police officer. He was being treated at a hospital, but no details on his condition were immediately available.